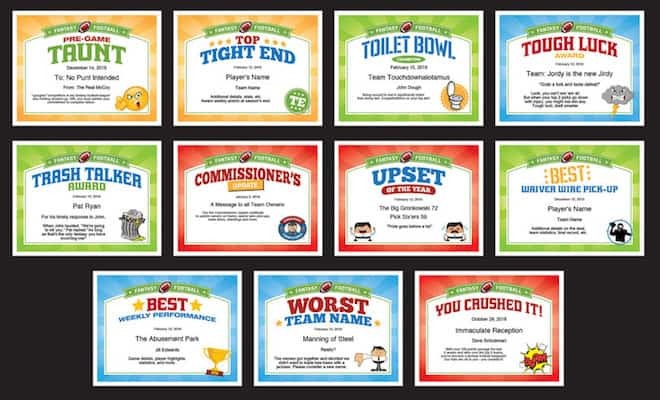 Fantasy football certificates provide you the opportunity to talk some smack, recognize achievement and call out some failures with your fellow owners. 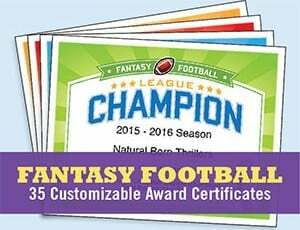 Fun and affordable, these certificates help you keep the fun of draft night alive all season! Telling it like it is requires a commissioner with some intestinal fortitude. 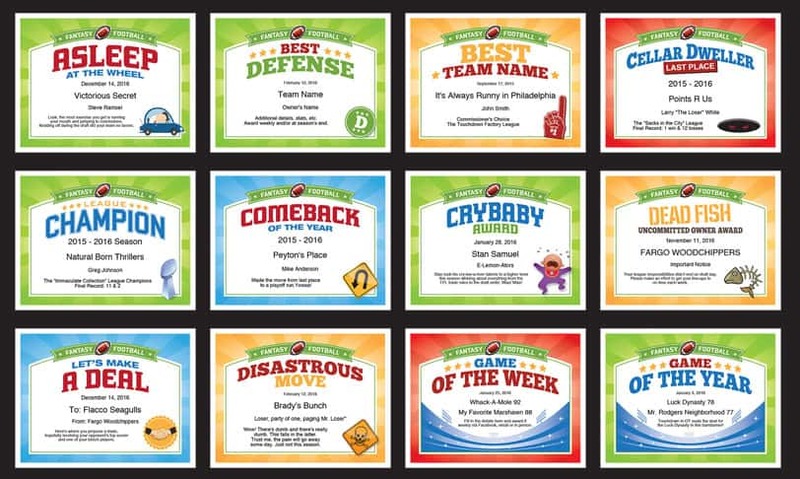 Talk some smack, recognize champs and chumps, or make a trade with these fun, certificates. 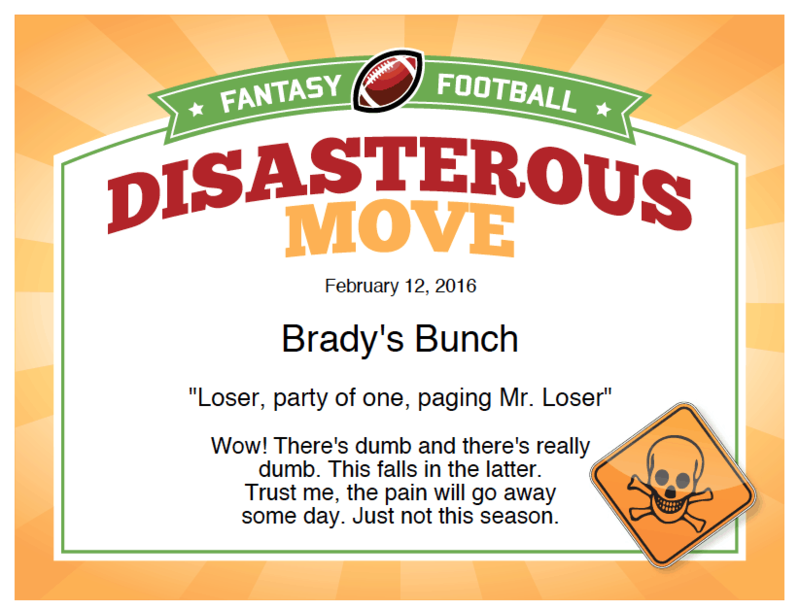 Your league will get a kick out of these stylishly designed fantasy football award certificates. When you purchase you’ll receive a PDF file that can be used on Mac’s or PC’s. Use them year-after-year for multiple teams – it’s a great deal! Just personalize, print and present these certificates. Designs are set to work on standard 8.5” x 11” paper. 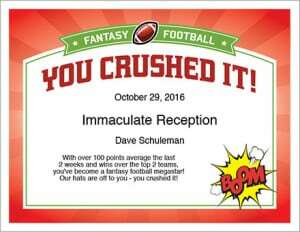 It’s the polished way to leave a lasting impression on everyone in your fantasy football league. 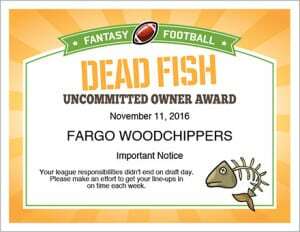 • Print as many as you like for your league. Don’t forget that you can use this year after year. • Make your fellow owners smile! 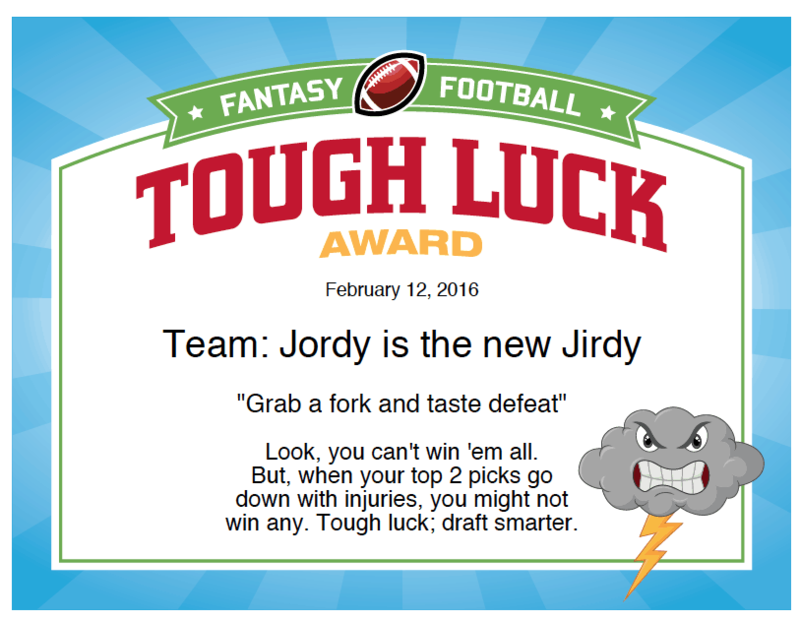 Isn’t that what Fantasy Football is all about? Sure, it’s nice to be competitive, but it’s more about the comradery. 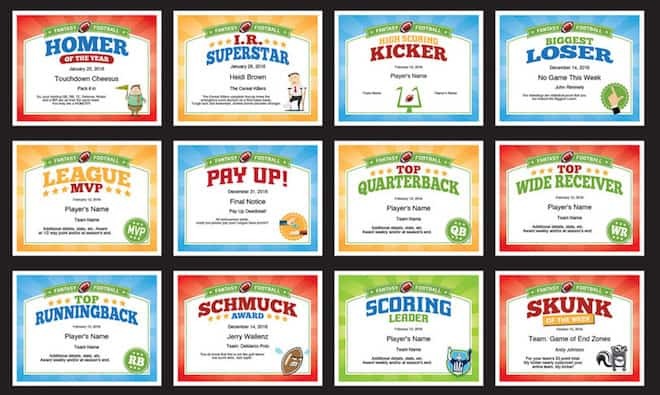 Now, you can get all of the certificates for every team in your league (up to 12 teams) with the purchase of the Fantasy Football Multi-User Pack. Regular Price: $59.99, but now discounted to $29.99 — Save $30! 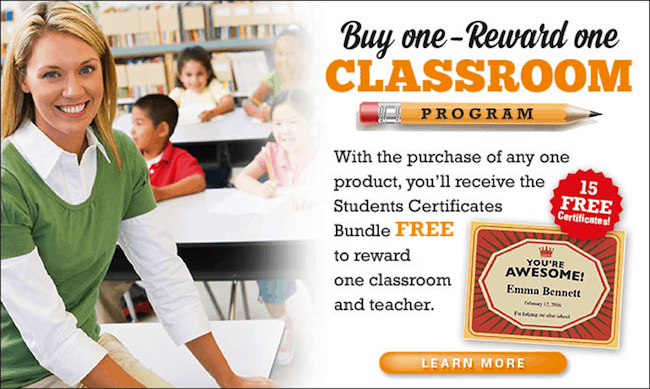 Purchase this product and receive the Teachers Certificates Bundle FREE! Commissioners can choose to award these certificates whenever they want. Some might wait till the end of year party, while others send them out all during the season. Let’s take a closer look at some of the options. Prints to 8.5 x 11″ paper. Talk smack before and after your games. 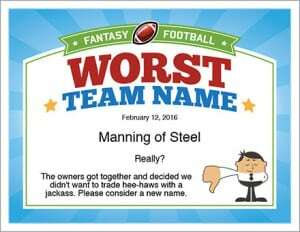 Many fantasy football leagues look for some way to recognize winners, losers, and notorious owners of teams in the fantasy league. 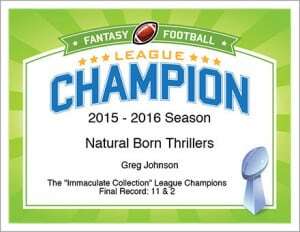 Some will look at fantasy football belts, fantasy football trophies and fantasy football plaques. You can use them throughout the year for multiple owners. You can use them season after season, year after year. These awards enable you to personalize each one to recognize the different personalities in your group. Interested in reading more on Fantasy Football, check out Matthew Berry’s twitter feed.